Field Drums (a/k/a Field of Drums): Transition from Rope to Rod Tension - When Did It Happen? Transition from Rope to Rod Tension - When Did It Happen? 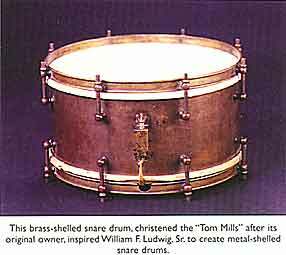 Hi Ellis, Could you please tell me the time period from when rope drums were begun to be over shadowed by tuneable rod tensioned snare drums? Would that time include any of the late Indian war period? Thank you. Angelo Mauceri. 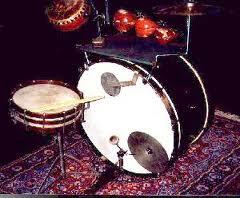 Paradiddle58@gmail.com. 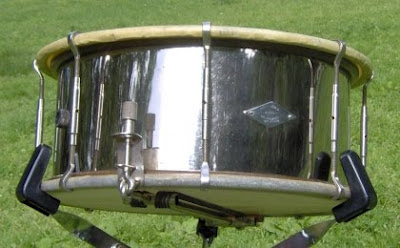 In my research I find this not only incredibly important because of the use of rod-tension drums, but these are also the first time that I find smallish side/snare drums coming into use. I try to draw a line between drums where the shell length is greater than or equal to the diameter and those whose shells [height] are smaller than their diameter -- not a good line, but it was helpful to think about when I was looking at the changing roles of instruments. The 1880s brought about American companies like Duplex that were making rod drums, and the first experiment in separate-tension drums followed close to that (a logical extension of what rod technology can bring to a drum). 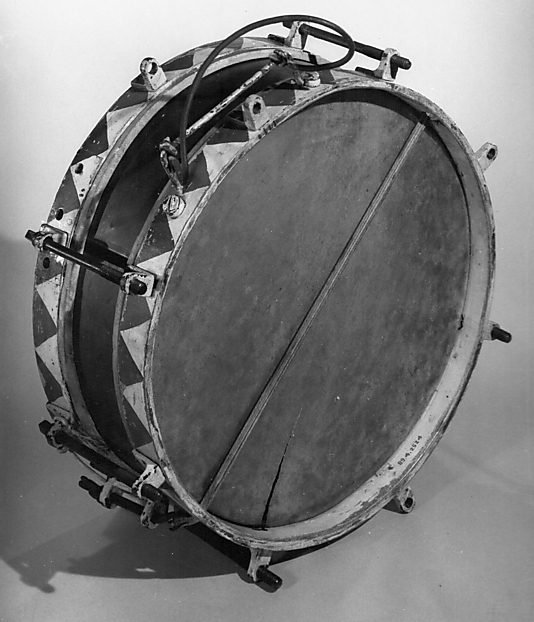 Duplex, run by Emile Boulanger, was also the first American firm to make metal shell drums. 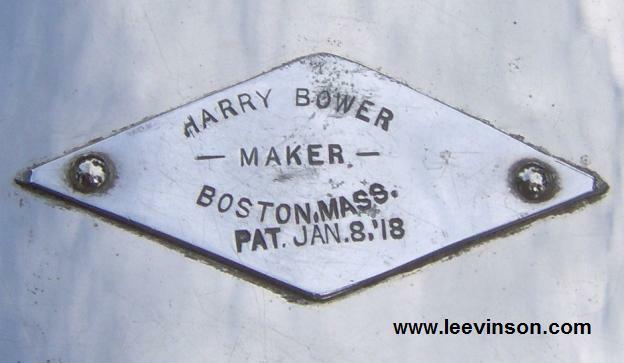 At almost the same time, Harry Bower in Boston was experimenting with rod tensioning, and went in another direction entirely with shells using a material called ‘leatheroid’ that was all the rage in New England[. Leatheroid] is actually [a] wood/paper mixture. [E]arly ‘trap percussion’ sets adopted rod tensioning right from the beginning, as the smaller drums were much easier for the gigging drummer to carry around. 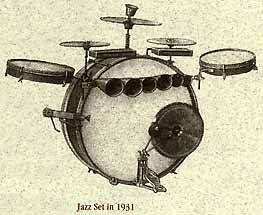 [A] certain amount of the classical music world – concert bands and symphonies – were also using these smaller rod drums. 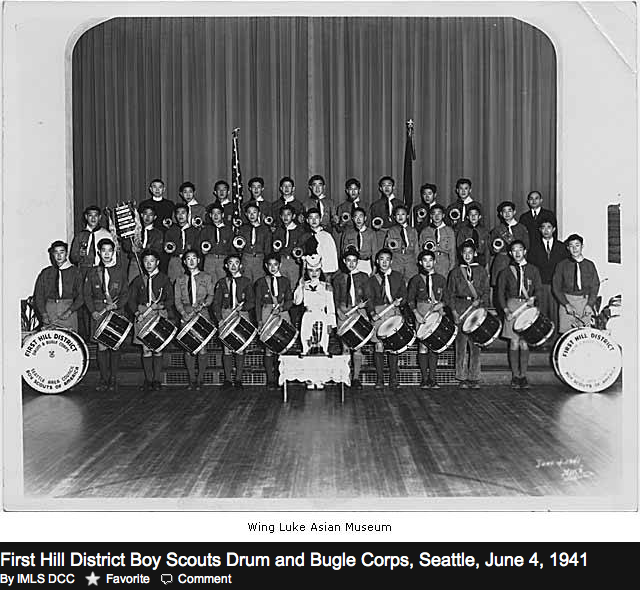 I think specifically at this moment about the Sousa band and the famed “Tom Mills Drum” which is now at the National Music Museum in South Dakota. 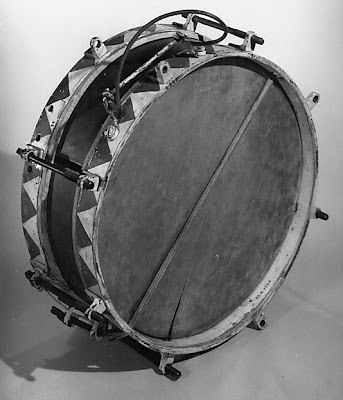 The Tom Mills drum was purchased by William F. Ludwig from the Sousa drummer, Tom Mills, in the first decade of the twentieth century, but what he found most important about it was that it was a metal shell drum. What is of interest there is that other companies, namely Duplex, were making and selling metal shell drums in the U.S., but they must not have been very widely known because of Ludwig’s comments about the Tom Mills drum (which was a German drum that was imported). 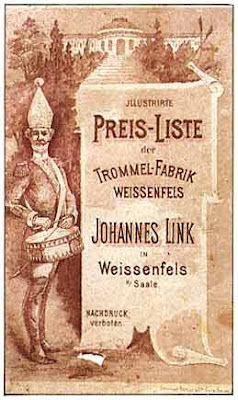 Interestingly, as you surely know, marching ensembles continued to primarily use rope tension drums well into the twentieth century. I think Ludwig was still selling rope drums until the 1950s, mostly marketed as drums for Boy Scouts. There was also a revival of using rope tension during WWII with the restrictions on metal [embodied in] the 10% rule (only 10% of a musical instrument could be of metal) as well as other experiments. To help put a date on things, there are pictures of field music units during the Civil War that show drummers using rod tension snare drums. 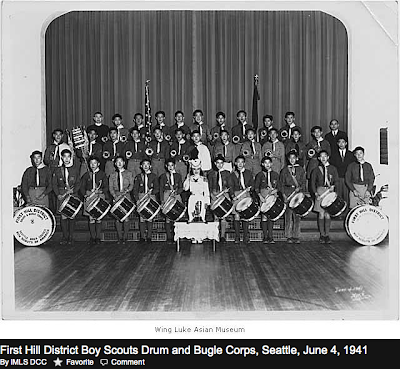 These are pictures that can be viewed at the Company of fifers and drummers museum in Ivoryton CT, or at the Library of COngress in Washington D.C.